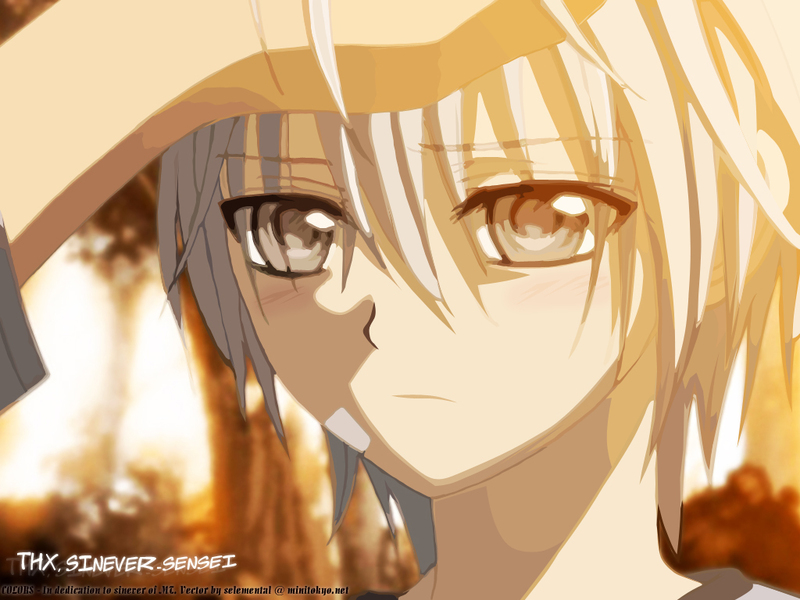 Vampire Knight Wallpaper: COLORS - Thx, Sinever-sensei!!! Minitokyo »	Vampire Knight Wallpapers » Vampire Knight Wallpaper: COLORS - Thx, Sinever-sensei!!! It's a late. oh so late. b-day gift for sinever-sensei. To thank her for helping me and being such an awesome buddy of mine! I know I haven't spoken to you lately in a looonnngg time. It's because I didn't want to show my face while not having finished this laaayyyeee gift. I know the vector looks weird. Took over 50 shades of earthy tones to get this down I think. I wanted to make it look arty and beautiful. I read a tutorial on the net about how these kinds of vectors were more interesting to look at so I tried it and it was too hard and I'm not even sure if you like these kinds of stuff and so now I am like "wow" -__- and I dunno what to say about.. THIS.. thing I made here. It took me months and months. Actually from before ur b-day came last year I was working on it. I think this vector is really nice, especially for your first one! I love the way you colored it, it has a lot of style to it and definitely is more interesting to look at ^^! Awww he's just too cute to ignore ;//; i wanna eat him xD thanks! so cute x3! i'll keep putting zero on my favorites..
i thought you used an automatic vector transform tool.. So cute little Zero!.. Great wallpaper! Oh my...young Zero is...so irresistibly cute! ?_?